Sensory, colourful and widescreen, the forest is already naturally cinematic. In the past decade, this natural landscape has become a site of creative exploration for contemporary art filmmakers in Asia. Curating a programme of Asian cinema usually ends up with a selection of films grouped according to the supposed importance of their auteurs and to the identity and history of each nation. Screening the Forest takes nature as a point of departure. By placing the forest at the centre of a curatorial practice, we emphasize that cinema is not only culturally and aesthetically, but also naturally, constructed. 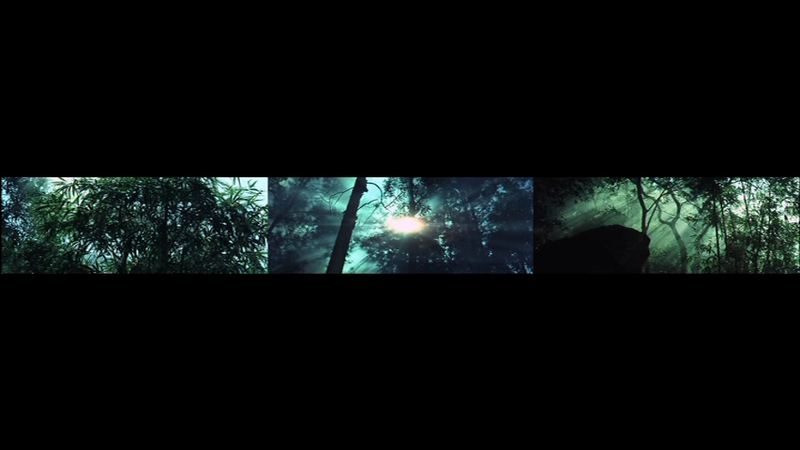 Moreover, through certain aesthetic choices, this programme investigates the ways in which cinema communicates the sense of being in a forest in a mode that other art forms cannot. The programme weaves together the cinematic forests of Thailand, Singapore, the Philippines and Taiwan (and in some cases, the forest refers to nothing but a world construed in its own territory). Like the real forest where many genus of trees coexist, several short films and artist videos by up-and-coming filmmakers are curated in order to show a variety of themes and strategies each filmmaker adopts. Some filmmakers depict the forest in folklorish narrative form, while others treat the forest as experimentation in what has come to be known as ‘slow cinema’. Some use the forest as a site to access national trauma, while others trace the memory of cinema in their sojourning through the archival forest. These forests blur the lines between nation and nation, reality and dream, human and nonhuman, life and death, memory and forgetting. The programme is curated by Tay Graiwoot Chulphongsathorn. The screening is also the closing event of the AHRC-funded project, the Screening Nature Network, a collaboration between the Department of Film Studies at Queen Mary, University of London, the University for the Creative Arts, the Whitechapel Gallery, Goethe-Institut, and the Horse Hospital. The programme is approximately 80 minutes. Admission is free. The screening will be followed by music and drinks at the bar. 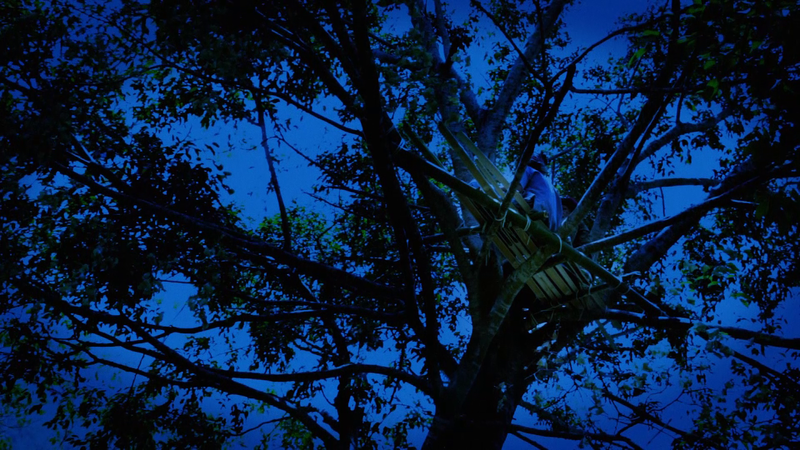 Sharing the theme of the forest in local myth with Apichatpong Weerasethakul’s Tropical Malady, but made with a low budget aesthetic, Forest Spirit (2012, Dir. Teera Prachumkong / Thailand) tells the story of a folklorish forest where an evil spirit tricks a wanderer. In stark contrast, the forest in Endless Realm (2013, Dir. Eakalak Maleetipawan / Thai- land) is not a mythic but a contemporary one. Along Thailand’s border with its neighbouring countries, mountains and forests are always used as a natural demarcation. At first glance, the forest looks peaceful. But the longer we linger, the more we recognize the past violence hidden beneath. The film won the top prize at the Thai Short Film and Video Award in 2013. The theme of the forest’s political resonance also runs through Not a Soul (2013, Dir. Jet Leyco, The Philippines). A man hides out in the mountains after accidentally killing a priest. But, the area is far from safe. Soldiers and rebels hunt one another there. 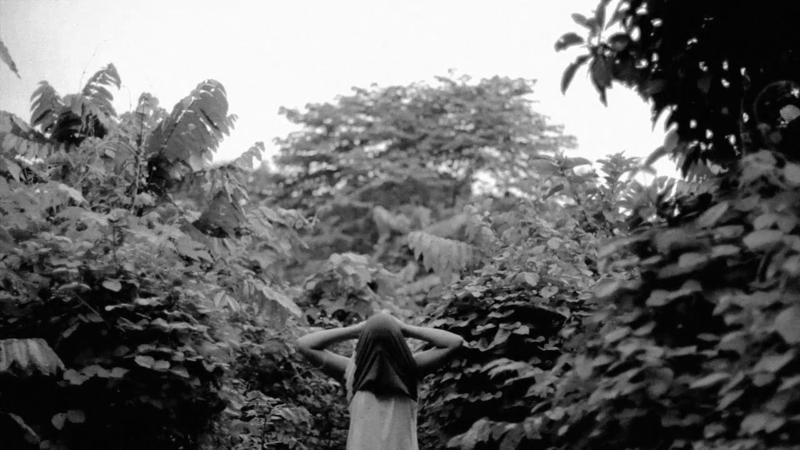 The fateful location is visualised with a mixture of oppressive, moving and still, black-and-white archival images. Not a Soul was screened at the 2013 International Film Festival Rotterdam. Continuing with the theme of the archive, The Legend in the Mist (2012, Tony Chun-Hui Wu, Taiwan) is a tribute to King Hu, the king of martial art cinema in East Asia. Originally screened as a three-channel video installation at the King Hu retrospective exhibition in Taiwan, the work is a montage of sequences from Hu’s classic Raining in the Mountain (1979) and Legend of the Mountain (1979). Experienced visual artist Tony Wu was inspired by the highly symbolic mist, which is often used by Hu. Mist is transient by nature. It paradoxically seems devoid of form, yet real. Mist can create atmospheres which are poles apart, from the poetic and romantic to the unsafe, precarious and empty. The assemblage of various misty and forest scenes highlights the ever-present theme of the Eastern poetic landscape, similar to ink washing paintings, in Hu’s films, as well as the creation of a Zen philosophy of life. The programme is also haunted by the theme of death. Originally exhibited as a two-channel video projection at the Singapore Art Museum, Mirror (2013, Dir. Boo Junfeng, Singapore) was inspired by the artist’s visit to Bukit Brown Cemetery, where exhumations of over 3000 graves are taking place for the construction of a new highway, cleaving the old burial ground into two. This bifurcation is also visited upon the soldier, a recurring figure in Boo’s cinema: one serves the present-day armed forces; the other the Malayan Communist Party from the past. Finally, the programme ends with an immersive long-take Entropy Machine (2011, Dodo Dayao, The Philippines). The director describes his film as ‘a caveman movie about the world’. The film makes use of the garden of Eden metaphor, but remember that Eden is its own double-edged sword. It is a paradise and a crime scene both, and as such, it is the beginning of decay. Acclaimed Documentary Filmmaker, Vladimir Tyulkin (Kazakhstan) will present a double bill of his films: Lord of the Flies and Experiment of the Cross (in Russian with English subtitles). Following the screenings, Vladimir will be in conversation with Anat Pick (Film) and Jeremy Hicks (Russian), and will take questions. Lord of the Flies is character study, a dialogue with a pensioner and self-declared visionary, a man who has discovered and implemented in his own smallholding a gruesome solution to humanity’s and nature’s problems through an ingenious use of cats, dogs, flies and chickens. 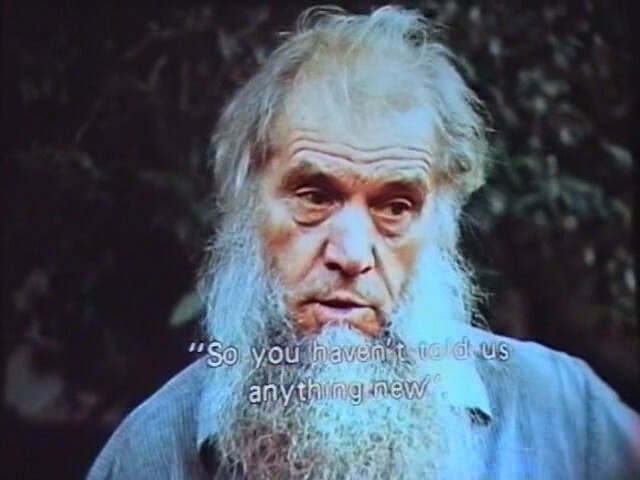 Tyulkin’s film permits his subject to expound his views on the world, reflecting on his experience of his country’s traumas, and extrapolating on the political analogies of his home as a system. The film comments on its subject sardonically through editing, animal sounds and music. For this film Tyulkin teamed up with Taras Popov, who had worked for over ten years in a young offenders’ penal institution. Through its insider’s understanding, the film presents a picture of systematic dehumanization and degradation that belies the authorities’ claims to be rehabilitating and reforming the inmates. Born in 1955, in Semipalatinsk, Kazakhstan, Vladimir Tyulkin studied film at the Institute of Theatre, Music and Cinematography in St Petersburg, Russia before completing the advanced director’s course at Mosfilm. From 1987 to 1990 he was head of the documentary film department of Kazakh Film. Vladimir has worked as a director at various national TV stations and directed 500 episodes of a TV series named The Crossroad for Phabar, the Central Kazakh TV station. At present he is a director for ‘Kazakh TV’ (owned by the Khabar Media Holding Company) and a Senior Lecturer at the Academy of Film and TV at the Turan University in Almaty. His film credits include Lord of the Flies (1990), About Love (2005), and Experiment of the Cross, co-directed with Taras Popov (1995) which was broadcast in more than 30 countries and went on to win a host of international awards including the Grand Prix at the Amsterdam International Film Festival. In 2004, Vladimir won the award for Best Russian Documentary Series for his nine-part series Tattoo Under Heaven. His recent work includes Not about Dogs (2010) and his works have been shown and acclaimed at international festivals, including Nion (1991), Leipzig (1995), London (2005), and Oberhausen (2011). Join us for a free plant and booze-based reception on Saturday night in the gallery space. Booking for the international symposium on Screening Nature, the one-day symposium on the subject of visual culture and the natural world, has now been extended. In addition to keynotes by Professor W. J. T. Mitchell, and Professor Claire Colebrook, filmmaker and artist Rose Lowder, whose work will be screened at the Whitechapel Gallery later in the evening, will be speaking. With presentations by Dr. Silke Panse (UCA), and Professor Jody Berland (York University, Canada). The symposium kickstarts our weekend of moving image work on nature, humans, and animals, and the convoluted relations between us. All screenings take place at the Whitechapel Gallery from Saturday evening through to Sunday night. We are pleased that many of the filmmakers and artists whose work we will show, will be present for an after-screening Q&A. Please see the Provisional Program for details. For the full schedule of screenings and booking see FULL SCHEDULE. Elegy is a short film in memory of a cat. It depicts her nocturnal space as imagined by us. This space is our “garden,” a dank and decaying backyard full of weeds and wildlife, a place that belonged more to her than to us. Various creatures join in the process of mourning, on and off screen. Elegy, Ian Wiblin and Anthea Kennedy, 3’25” b/w, 2001. 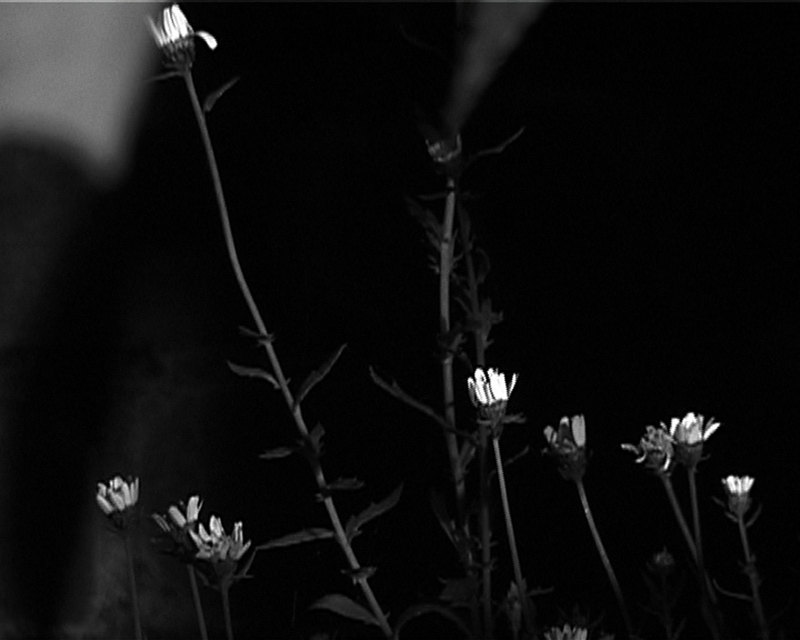 Elegy will be shown on Day 2 of Screening Nature at the Whitechapel Gallery, 19th of May. The filmmakers will be present for a Q & A.
Chen Sheinberg is a filmmaker, artist, and curator whose work has been screened internationally at festivals like Oberhausen. 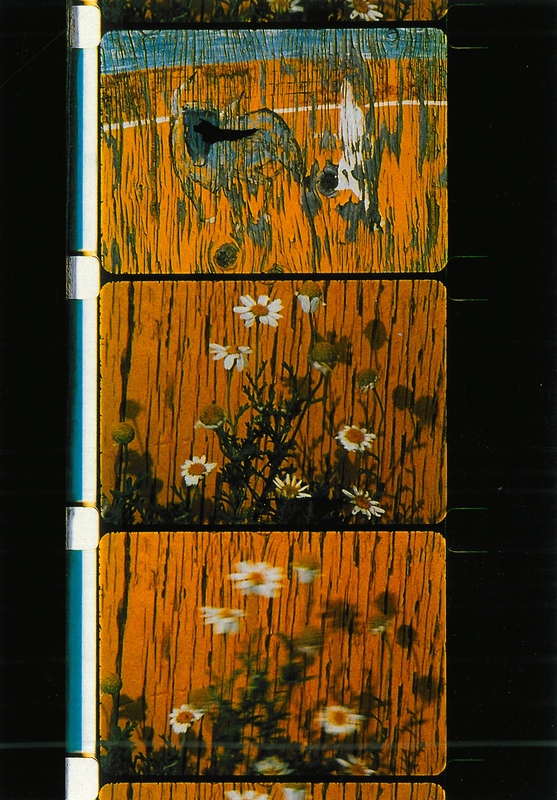 We are delighted to be showing three of Sheinberg’s films, Convulsion (1998), Blind (2001), and The Mute Dove (2012) at Screening Nature. 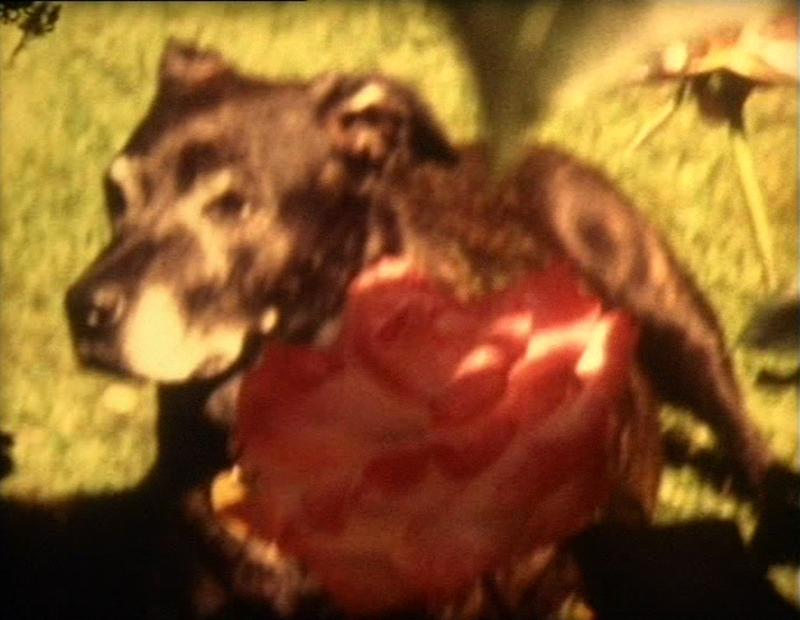 Sheinberg’s films observe and attend to the daily lives of ordinary creatures. By focusing on the small detail, the faltering and unspectacular existence of urban animals, ordinariness imperceptibly gives way to the extraordinary. Sheinberg chooses the common dung beetle, the dove who cannot fly, or a blind stray cat to express something about the heartbreaking creaturelinesss of the everyday. Chen Sheinberg will be present to discuss his work. Our May 2013 launch events are coming up! Symposium on nature, animals, and the moving image: Queen Mary, University of London (10am-4.30pm), Arts One, Lecture Theatre. Keynotes & speakers: W. J. T. Mitchell, Claire Colebrook, Rose Lowder, Jody Berland, Silke Panse. Admission: free; booking essential. To book, please visit our EVENTBRITE page. 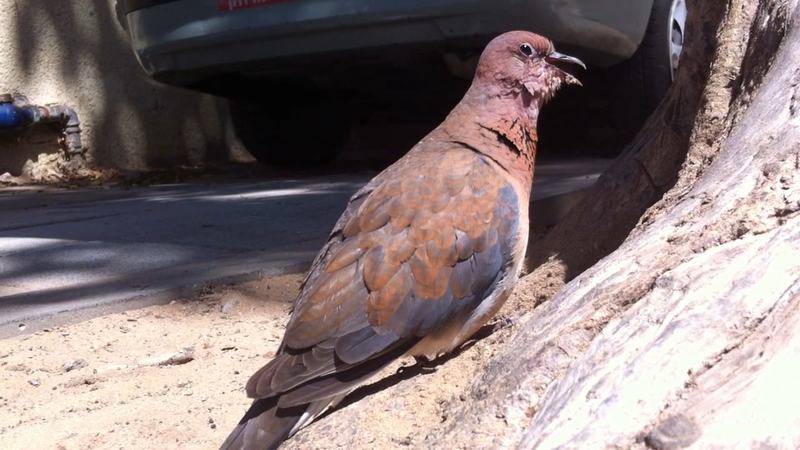 A mini-festival on cinemas of flora and fauna, at the Whitechapel Gallery (Sat 18 May 5:30-8pm; Sun 19 May 11am-7pm). 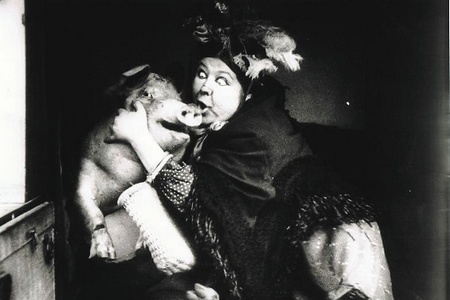 Films by the Lumière brothers, Joris Ivens, Percy Smith, Stan Brakhage, Kenneth Anger, Joyce Wield, Mike Marshall, Vladimir Tyulkin, Susanne Bürner, Rose Lowder, Helga Fanderl, Peter Kubelka, Yervant Gianikian and Angela Ricci Lucchi, Ed Chell, Mike Blow, Silke Panse, Erin Espelie, Johanna Hällsten, David Chapman and David Cottridge, Chen Sheinberg, Ian Wiblin and Anthea Kennedy, Lucy Powell, Sergei Dvortsevoy, Zalcock and Sara Chambers, and a selection of rarely seen early films. Admission: Sat 18 May, £8/ £6 concs. ; Sun 19 May £11/ £8 concs. (morning or afternoon programme), £20/ £15 concs. (full day). * Booking for the symposium and screenings is separate, and on a first come first served basis. Book soon! Curated by Anat Pick and Silke Panse.